BEACHES TO BIKES, PARKS TO PICKLEBALL. Year-round tropical sea breezes and mild temperature make Punta Gorda the ideal spot for all things outdoors! Did you know that 40 percent of the city’s land area is actually nature preserves? 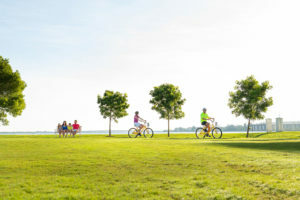 Whether pedaling around with the city’s free bike-loaner program, taking a stroll along the Punta Gorda Pathways, playing tennis or pickleball – if it’s outdoors, Punta Gorda does it with style. Punta Gorda is a bikefriendly, walking community. Its network of pedestrian-friendly trails links historic neighborhoods, parks, and our downtown. Punta Gorda Pathways are an 18-mile loop of groomed shared multi use paths that welcome pets, bike riders, and walkers. But we’re not resting on our laurels! We’re building towards the future with plans to dramatically expand our network of pathways. Nature enthusiasts will want to hike and bike along park paths for possible encounters with birds of almost every feather, turtles and other local wildlife. Several area environmental centers offer guided tours and educational programs. Athletes can practice their favorite sports at public recreational facilities that include courts of just about every kind – from basketball and tennis to bocce and horseshoe. Let’s not forget about the water! 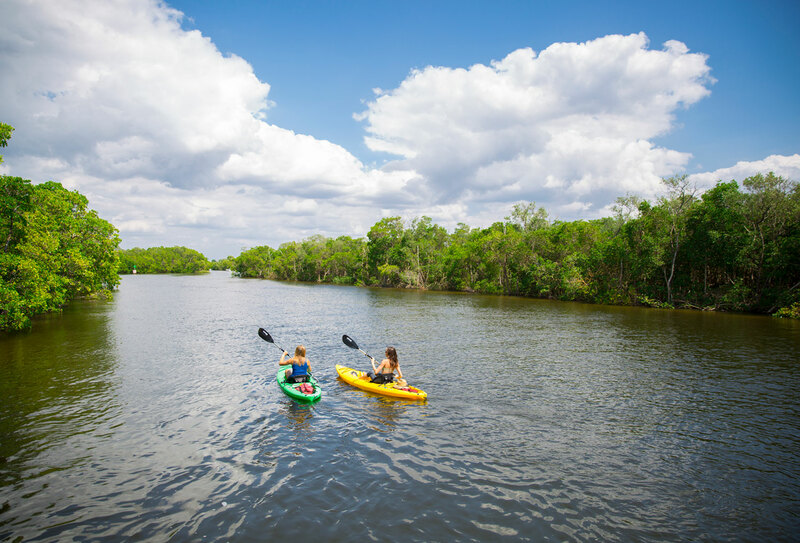 In Punta Gorda you can fish in crystal clear waters, sail the beautiful Charlotte Harbor, or kayak through lush mangrove tunnels. Punta Gorda is located along the shores of Charlotte Harbor, an idyllic boater’s paradise. Just steps from downtown you can toss off your shoes and let the soft beach sands slip between your toes. Punta Gorda is also home to Florida’s southwestern estuaries, mangrove wetlands, historic river, and productive uplands. These comprise one of the largest ecosystems of its kind in North America. Punta Gorda takes pride in its ecological riches. Surrounding the city, maritime and costal habitats support over 600 species of birds, fish, and marine wildlife. Accessible parks and preserves, boat launches, and picnic areas invite family excursions.